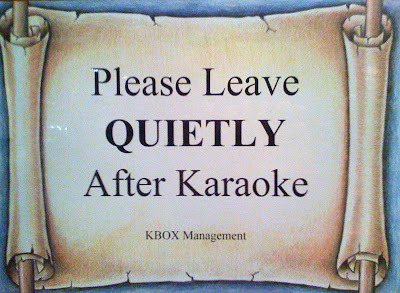 So I had my first experience of Karaoke on Tuesday night and it was some kind of revelation. Initially being disappointed with the available song-list (no Talking Heads, Ramones or Iggy Pop) and having some reservations, I found 'Ace of Spades' by Motörhead and from then on everything worked out just fine. 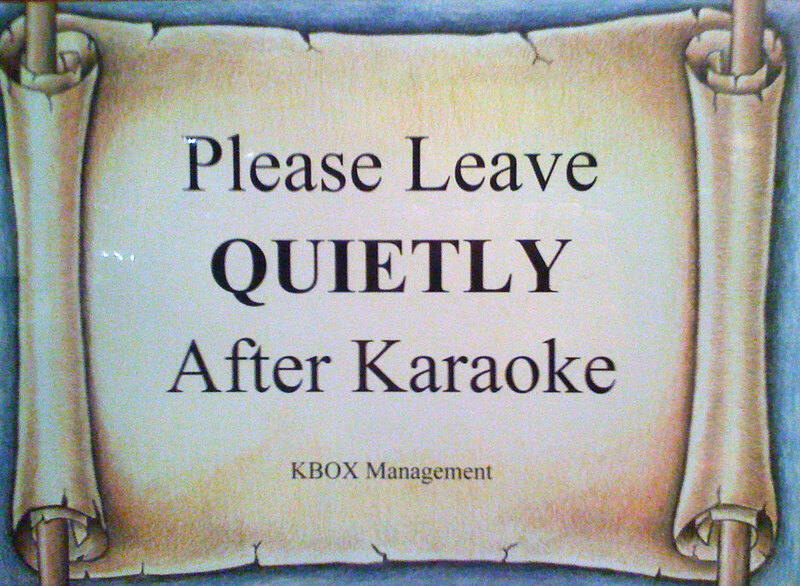 The venue - Karaoke Box - catered for booze with the most economical choice being a $6 bottle of decent (but not amazing) sake as well as offering complimentary mic sanitation ...uh... sleeves? 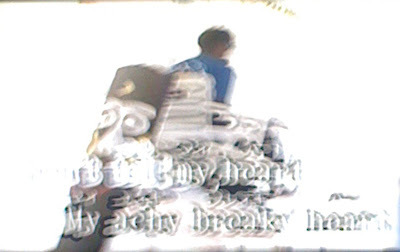 In the reception you could hear a melange of songs bleeding through the doors of the front rooms making for an interesting ambient mix formed from these karaoke-strained song fragments (you could hear the vocals significantly over the background tracks). I did not sing, nor do I endorse this particular song. You choose your songs from a hefty plastic-wrapped-paged book and enter the song code into a DVD player-esque system. This had a couple of nice dirty-disk type glitches over the course of the evening which I saw as a charming bonus. The songs are played and the vocals are highlighted over a seemingly irrelevant music video composed of a wide array stock footage - I only noticed same footage appear twice. Vocals were effected by quite a bit of reverb which was nice as dry, uneffected vocals probably would have been too raw.